Only minutes after the Blues had taken the lead at St. James’ Park through Eden Hazard’s penalty, Newcastle found their way back into the game. Joselu headed in his second of the campaign from Andre Yedlin’s cross, with David Luiz standing still instead of clearing the ball from the box. Olivier Giroud was fouled in the build-up, which could have been blown for a foul. Chelsea didn’t settle for this, and headed straight back to finding a second goal. It didn’t take long, as a well-practiced free-kick effort resulted another Blues goal! 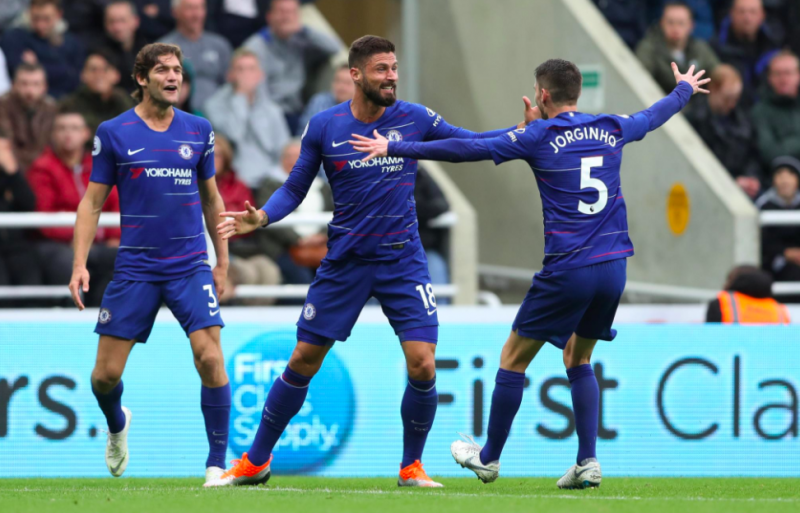 Giroud laid the ball down for Alonso, whose strike is deflected into the net by Yedlin! Only minutes left in the clock now!